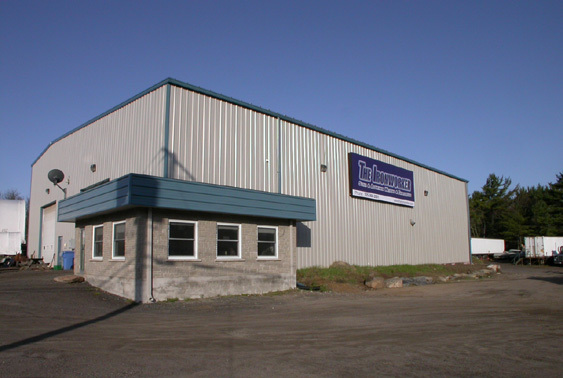 The Ironworker is a family-owned business located in Pointe au Baril, Ontario, Canada. We are known for our premier products for both residential and commercial applications. 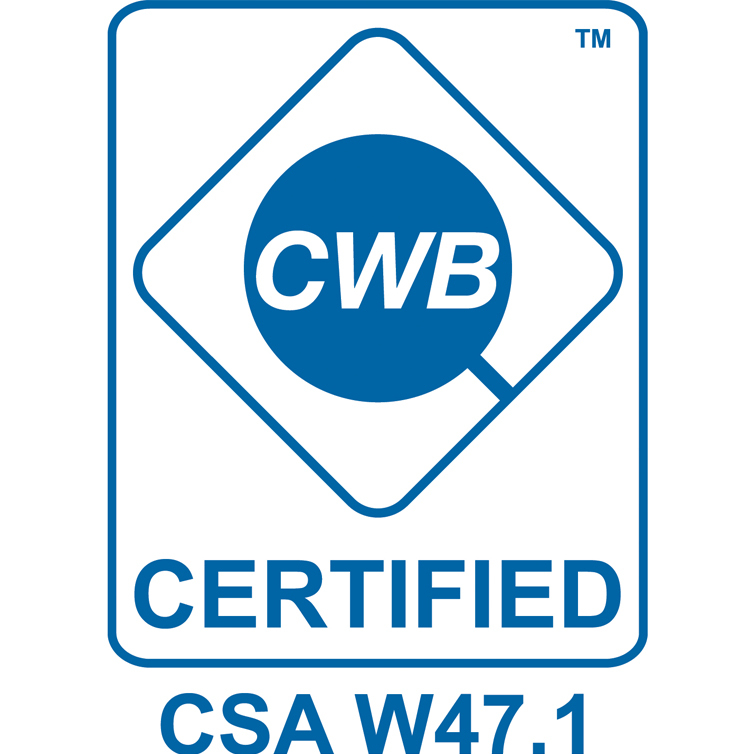 We are CWB 47.1 Certified and our solid reputation for quality and reliability is the guarantee we pass onto you. We stand behind our products 100% and are confident that the expert workmanship, time and energy that has gone into the fabrication of each and every product will speak for itself. The Ironworker consists of three divisions: Kemp Docks, Kemp Boats, and Kemp Trailers. Our steel tube dock division is known as Kemp Docks. Kemp Docks has evolved over the years expanding its dock building from home and cottage into other applications, such as marinas, resorts and government projects. Our proven and distinctive industry leading docks, wave attenuators and boathouses have been engineered to withstand the unforgiving rigors of wave and ice in the harsh northern environment found around Georgian Bay. The boats we fabricate are known as Kemp Boats. Our boat division manufactures custom welded aluminum boats in lengths of 14' to 32', in five basic designs with endless options available. Kemp Boats consist of an aluminum modified V-hull design. We use the best and highest grade aluminum to construct our hulls resulting in a boat that possesses superior quality and design at a competitive price. Our trailer division is Kemp Trailers which offers a line of standard trailers and manufactures custom built trailers. Any trailer can be customized with varying options and of varying sizes. Typical trailers include: aluminum ATV tilt trailers, aluminum ATV hauler trailers, heavy duty dump trailers, utility and landscaping trailers, and flat deck trailers. We build the trailers you want and need. Together with our standard products offered by our three divisions, we also offer a variety of smaller products and services. Products include dock accessories and hardware, dock ladders and carts, custom truck racking, etc. Services offered are boat, dock, and trailer repair, mobile welding, dock maintenance packages, etc. No job is too big or too small. We will rarely turn a job away!!! Just a quick note to tell you how pleased we are with our new boat. Fittings and finish are excellent. Ride is very stable and solid. The boat/motor combo handled the four of us plus luggage quite comfortably. And I'm sure it will be perfect for pulling kids in tubes come summer. Thank you for the excellent and on-time delivery/install of our dock!! It looks fantastic. The dock looks amazing and we are really pleased with how the new configuration turned out. We wish you had done the work last year. Job looks great, thank you! I have attached a picture of the boat with the new top. So far, everyone that's seen it absolutely loves it. They like the workmanship and the style of it. Thanks. I can't begin to tell you how happy we are for the quality of the job you and your crew did. Your product and your installation was top notch from start to finish. Please indicate to the crew our heartfelt thanks for a job well done. Brenda and I are very pleased with the finished product of phase one. It looks great! You were right, it blends in with the shoreline beautifully. Thanks again for a super job to you and all the crew. We saw and used the boat on the July long weekend - it was great. We love the boat. Thanks. WE LOVE OUR DOCK!! Scott, you and your team have done a beautiful job! Wonderful workmanship! What a difference it makes in our cottage experience already. Thanks. The dock looks great. The curved railing on the ramp is a good touch. I am not artistic but it seems to "compliment the natural curve of the rock". The dock is great. Sturdy as the rock of Gibraltar. Thank you so much for your excellent workmanship on our dock. Thanks for a nice looking job on the walk bridge. It is doing a good job on site. Very happy with the dock. Thank you for the time you took to get the dock set up. We are looking forward to enjoying it for many years. Many thanks, the dock is fabulous! I'm sorry we can't remember everyone's name but this thank you goes to each and every one of you who helped with the building and delivery of our dock. Your kindness and professionalism went beyond all measures. We are very proud to own one of your docks. We thank you right from our hearts for all your hard work and dedication Your workmanship is definitely first class. We are very pleased with our new dock and are looking forward to having it put to use. Many thanks for the great job done on the dock, ramp, swim ladder and four anchors at our island! We are delighted to finally have a dock that will stand the test of time and take whatever the elements decide to throw at it in spite of it's location. It is especially gratifying to know that we have a dock that we don't have to relocate for the winter! You and your team really did a very nice job - we are thrilled with the final product and the careful installation carried out by you and your crew. Last week-end we were able to take our 24' boat out to the island and keep it there for the first time ever. Many thanks to you and your team for doing such a terrific job accommodating our objective of getting a high quality product delivered to us in a pretty aggressive time frame. Seldom does an entrepreneurial business arrive on the scene with everything put together. Such is the case with Kemp Boats. Creative design, flawless workmanship, willingness to think outside the box brings Kemp Boats to the forefront of marine design and execution in economical welded aluminum watercraft. Kemp and his willing to please crew construct rugged boats built to withstand the rigors of any marine environment "His guys really know how to lay down a bead" We were one of Scott's first customers and now proudly own two of his custom constructed crafts, a 14' and a 17 footer. Kemp is a pleasure to deal with and a true professional. We are very pleased with the way our boat performs even in the rough water. Thanks again. It has been over a month since you delivered our new Kemp 16’ Aluminum Tiller Boat to us in Whitefish Falls. We knew when we were dropping into your shop to have a peek at it while it was being made, that we would be more than pleased with the finished product. Well let me tell you both what an understatement that was. Your craftsmanship is excellent. We were so happy that you would accommodate us with variance from the norm, and include our own specs and additions to the plan. Having the extra 2” in the middle seat height is perfect for us. We have used the swim ladder many times. At our ages, we can now get in and out of the water with ease.... and oddly enough, with the high water levels this year, it is the first time we have ever been able to swim off the end of our dock. We joke about “our expensive swim ladder at the dock.” We are also thrilled with the new motor that you recommended for this boat. The other bonus for us, was that you looked after all of the licensing of the boat before delivery. It was more than a treat dealing with both of you, and we look forward to many years of pleasure on the water with this boat. Again, thank you both so much for making this purchasing experience such a pleasure. I have been a boat owner most of my life. Fishing is my passion and fishing from the right boat has always been important to me. Kemp Boats represent for me the one boat I should have discovered years ago. Durable, stable and no maintenance are its stellar qualities. It’s all aluminium, welded construction handles wonderfully. Finally, a boat that serves me rather than me spending endless hours scrubbing and fixing all the things to keep the boat in operating order. No more floor and side cabinet rot found on other boats. I fish rivers, lakes, including the Great Lakes and this is my first choice for a universal vessel that meets all my needs. Whether I am on a river or a big lake. This boat does it all. Our 18 foot tiller, comfortably handles my 90 HP 4 stroke and my 9.9 kicker as well. With my built in, up front gas tank, the boat can handle me, my fishing buddy and all of our equipment for a day or two fishing trip. Why didn’t I find this wonderful product years ago? I can’t say enough about the owner and staff who helped us with the design from start to finish. Last boat I will ever need. Here are a couple of photos of Juno arriving in Tadoussac. What a dream it is to ride on her. Thank you both for doing so much to make this possible and especially for getting her completed in time for this season. We are all very impressed with the work you have done and very grateful. Montreal to Tadoussac - 250 nautical miles; Rain and wind, rip tides and currents, she was as smooth as a hovercraft!